In this increasingly digital world, it’s easy to forget one of the most important markets of all – your very own local art community. 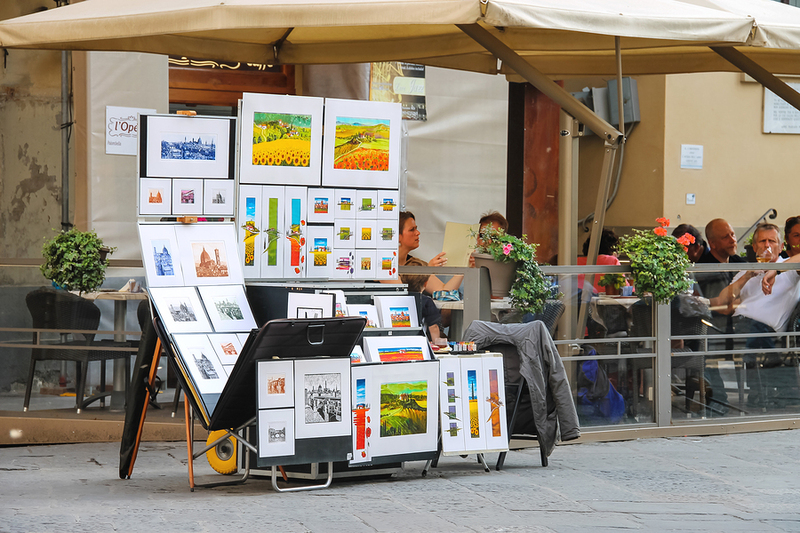 People love to support local artists if they can, so here’s some ideas on how to market your artwork in your very own home town. Most towns have an Art Council, who put on events and even provide funding for community projects and commissions. They usually run websites to promote exhibitions and upcoming art events, so be sure to keep up to date of what’s happening in your area. As with any networking, its all about spreading the word. Get out and about to local arts events and always carry a business card and postcards of your work to show interested people. Make sure your promotional materials stand out from the crowd and show off your talents to their very best. Here’s some great examples of cool and memorable designs to inspire you. 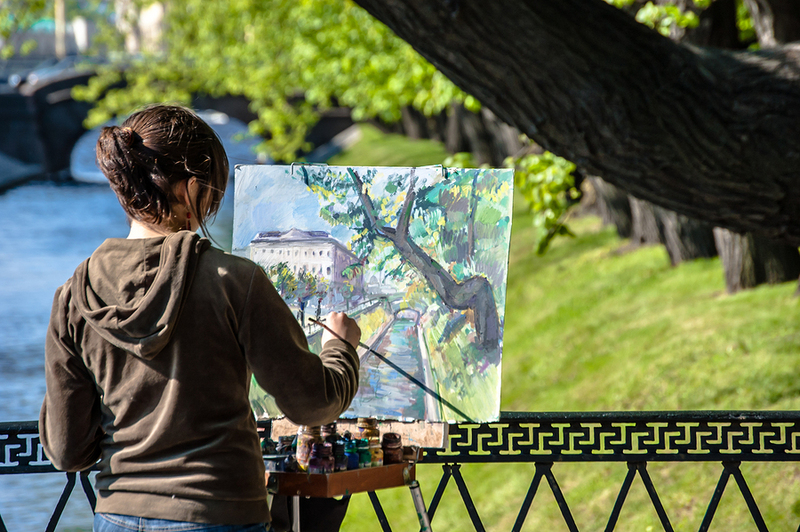 Your local art galleries are a great starting point to getting your work into the community. They already have the support of local art fans who are likely to be interested in up and coming artists from their very own area. Local cafes, schools, libraries and theatres are also excellent places to exhibit your work. They often run mini exhibitions, and are a great place get your work in front of a wider, and more varied, audience. So grab your portfolio and put in the leg work to visit as many places as you can – it will pay dividends in the end. There are also a wealth of potential contacts in your local business community. Businesses like to be seen to support the arts, and have offices that need decorating, events that need prizes and websites that need fresh imagery. Also think about joining a network group such as the BNI (Business Network Institute). Click here to find a meeting near you. These networking groups are a great source of contacts and information, who meet regularly with the sole aim to actively seek out referrals amongst their group. The local chamber of commerce is also a good source of information and events. Teaming up with a local charity is a great way of getting exposure, whilst also doing some good. Find a charity whose work you admire, as well as whose core donors or recipients best fit your particular target market. Once you’ve selected your charity, offer to work with them on their next project or event. Perhaps offer to donate a prize in their next raffle or jazz up their centre with a mural or some of your work. Offering your services for free is also an excellent way of getting your name out there. Volunteer at your local youth or community centre to give art classes and you’ll make valuable contacts willing to network on your behalf. All of this also provides a great opportunity for media exposure too. Local radio stations, regional newspapers and parish newsletters are always looking out for new people and features to write about and are often particularly interested in the arts. So whenever you are featured in a local exhibition, or win a competition, don’t be shy – be sure to write yourself a press release to send out to your local press. Here’s some great tips on how to create a good press release to ensure you get the very best chance of being featured. Got any other ideas how to get yourself noticed in your local community? We’d love to hear what works for you.